It’s fun to celebrate marriage mensiversaries. Rather than make note of it every year, we’ve decided to make note of it every month. This isn’t that abnormal really, it’s just like having a regularly scheduled date night. It’s an excuse to take time out to focus on your spouse and mark it in some way of celebration. Nothing we do is hugely involved or deeply complicated. We simply make a point to do something out of the ordinary or special to celebrate our marriage. We try to do something different every month, but as the months mount it might be hard to keep that up. Our first mensiversary snuck up on us pretty fast. It’s actually what prompted us to celebrate. I imagine noting the first month of marriage is something most couples notice, and we were no different. Still basking in post-wedding bliss we decided it was a fun tradition to start. Two weeks in Hawaii and Halloween being the first weekend we were back our first month was on us before we’d even really settled back to normal. We decided to get fancy burgers from Bobby’s Burger Palace nearby in Paramus and decided the first mensiversary gift was gourmet hamburgers. I’ve written about this before, but as time goes by I’m going to try to document every month’s moment. Some are silly and some are born of convenience, but the purpose is always the same; recognize and remember our wonderful marriage. Fair Lawn is getting something called the Fair Lawn Promenade along route 208. This is right next to the gym, so I noticed recently when they started leveling out the ground and clearing the weeds. It’s been empty lots for a long time. The Fair Lawn Planning Board has approved the application for the “Fair Lawn Promenade,” a proposed mixed-use village on the Route 208 Northbound site of the former Kodak property. My first thought: It needs a brewpub. The signs mention retail and dining, so why not? It profiles as a “upscale town center environment” and given the inclusion of some affordable two-bedroom apartments, it stands to reason that it will promote people just like me. By that I mean couples in-between owning a house and graduating from college. In my experience this is a demographic that appreciates real beer and would enjoy being able to get locally brewed beer a stone’s throw from home. So why not a brewpub, preferably one with a beer garden, for us to enjoy? There are already a bunch of apartments within walking distance, which is where I live, so it’d be a great place for a happy hour or watching a game. It would create that nice city benefit of living within walking distance of a cool bar or restaurant while still living in the suburbs. I saw brewpub even though a typical sports bar with a good beer selection would probably work too. This particular area could use a microbrewery serving good food, because to my knowledge there isn’t one anywhere nearby. Building from scratch could provide the ability to factor in a nice beer garden too, with long benches and trees. Certainly if I had the capital to start up a business, I’d be all over this. I wrote here about catering halls being the ‘final frontier’ of craft beer. I may have been wrong. One such place was brought to my attention by it’s venture into craft beer; airplanes. Airplanes are not typically places I’m looking to have a drink. The pressure and altitude tends to bother me more than most, and I think alcohol would only make that worse. Still, plenty of people like an adult beverage on a flight and it’s rare that you have any real options. 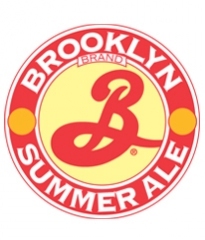 Jet Blue has changed that as they now offer Brooklyn Summer Ale aboard flights. I think that’s awesome. This is a change that seems to be a byproduct of the increase in canning of craft beer, and it’s a welcome one. So I suggest that when you jet off to summer vacation you fly Jet Blue and have a Brooklyn Summer Ale. The perfect way to start a trip.